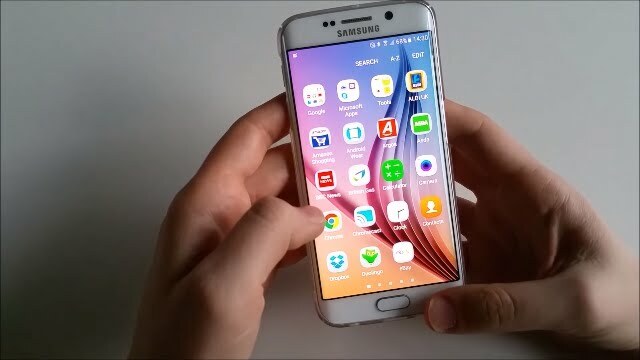 We have downloaded, installed and booted the Android 6.0 Marshmallow on Samsung Galaxy S6 edge. Find out what’s different and unique in the new OS and stay tuned for more videos in which we’ll look at the new featured in more details. Ich habe es immer noch nicht.wann kommt es devenitif ! Samsung recommends owners do a hard reset after installing new firmware upgrade. I found that it does improve things to do so-makes the system more stable and smooth. I hate those rounded apps Samsung decided to use on their recent devices. I thought they could get back to their original app design in the Marchmallow update but it's still the same. And the apps are smaller. If you got nova launcher use the velur icon pack is super nice. It is available also on s6 normal? i dislike the icons of camera and phone in the lock screen. why do a review with battery saver on?! Wow, that phone looks so much nicer than my iPhone 6!!!! I've to wait another year until my contract ends though. I actually like the new design and everything. is it available on note 5? Rell on Switching to iPhone! Official Kon on Switching to iPhone! Toufic Attieh on Switching to iPhone! felipe aurelio dzib kantun on Switching to iPhone!